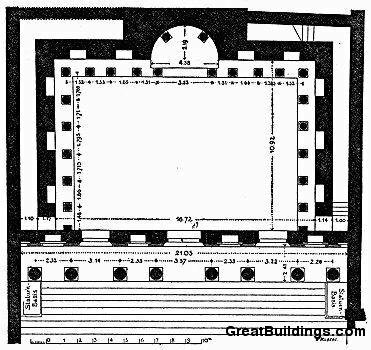 Map of the Library of Celsus, built 135. Another view of the façade. Looking up through the entrance ceiling. A statue decoration on the façade. Another statue decoration on the façade. Third statue decoration on the façade. Door to passageway behind “stacks,” left side. Library of Celsus looking to the right in the reading room. The floor of the reading room. The rounded area of the wall. The niches where the bookcases were kept.